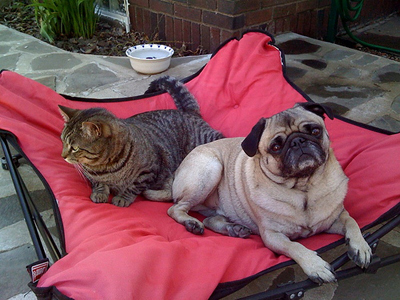 Oscar and Stewie enjoyed hanging outside last weekend. Oscar let Stewie share his lounger. 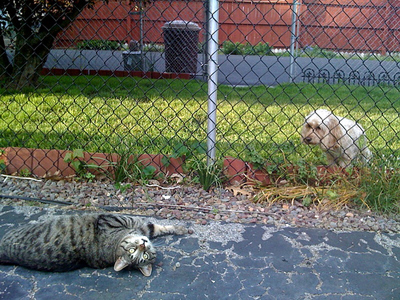 Stewie spent some time teasing he neighbor dog. 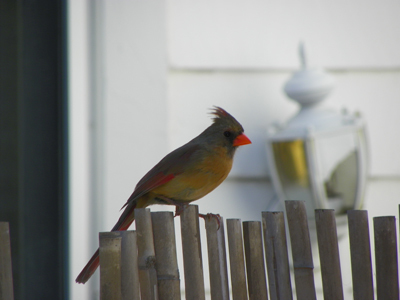 Then two cardinals spent some time teasing Stewie. 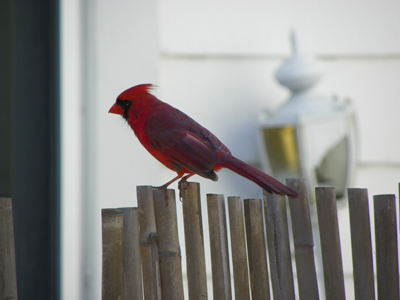 They took turns sitting just out of reach on the fence, chirping their heads off. Drove him nuts.